Norwich City went back to the top of the Championship this afternoon with a resounding 3-0 victory against Ipswich Town at Carrow Road. The result keeps the Tractor Boys planted firmly in the relegation mire, as well as making it a full decade since they last beat their local rivals. The game was never in doubt, Onel Hernandez gave the home side a second minute lead, with a second half Teemu Pukki brace securing the win. The game erupted in the dying embers of the first half, when a rash challenge sparked a brawl on the side of the field. 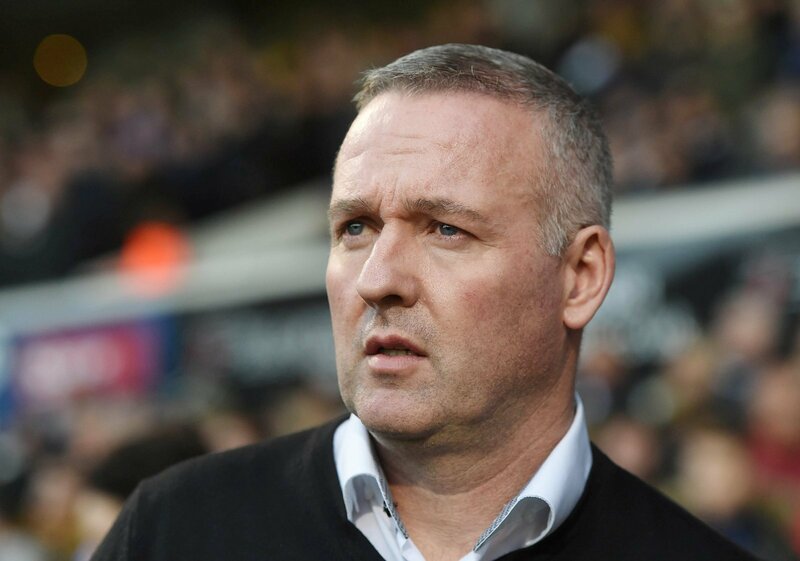 Former Norwich manager Paul Lambert was involved in unsightly scenes and ended up being dismissed. One the other hand, Daniel Farke simply walked away with a smile. Norwich fans were quick to take to twitter to discuss the contrast between the two managers, as well as praise their own boss for keeping his cool. With the game in the bag and his side once more top of the table, there’s plenty for Farke to be cool about. Hard to see what Domogalla did there. Even think Lambert was a little bit hard done by there but Chris did absolutely nothing – even seemed to walk away!